Due to the late-winter snow last week, the April 4 Strong Identities Workshop in Owatonna was postponed, and has been rescheduled for Tuesday April 15, 2014, 8:30 a.m. to 4 p.m. at the Steele County Historical Society. If April 4 was inconvenient, register for April 15! Application deadline for small Minnesota Historical & Cultural Heritage Grants ($10,000 and less) is this Friday April 11, 2014. Applications must be submitted via the grants portal before midnight on Friday. Contact the Grants Office with questions. The City of Stillwater has outlined a district area and prepared a local historic site designation study for a proposed local historic residential district. The City has identified 101 properties within the district and identified eighty-six as nineteenth-century construction; these eighty-six structures represent the highest concentration of intact historical residences within the City of Stillwater. Does your organization have a Murder Board? Are you using brilliant apps? Read more about the proposal to eliminate IMLS and NEH. National Council on Public History discusses digital projects. Northfield MN fights to save its 1936 post office. Adirondack Architectural Heritage, Keeseville NY, seeks Program Director. Deadline: April 18, 2014. National September 11 Memorial and Museum, New York NY, seeks Education Specialist. Deadline: April 18, 2014. Historical and Cultural Society of Clay County, Moorhead MN, seeks Marketing Coordinator. Deadline: April 18, 2014. Museum of Contemporary Art Chicago (MCA) offers Postdoctoral Curatorial Fellowship. Deadline: July 1, 2014. Historic Germantown, Philadelphia PA, seeks Executive Director. Position open until filled. Ohio Historical Society, Columbus OH, seeks Technical Preservation Services Manager. National September 11 Memorial and Museum, New York NY, seeks Interpretive Programs Manager. Join Minnesota Association of Museums at the Bell Museum of Natural History, Minneapolis MN, Thursday April 10, 2014. Curator Don Luce will discuss "Audubon and the Art of Birds" exhibit. Free for MAM members. Register online. Winona County Historical Society and Hiawatha Valley Civil War Round Table, Winona MN, will host Representative Dean Urdahl, who will speak on "Various Plots in the Lincoln Assassination," Thursday April 10, 2014, 7 p.m. Call 507-454-2723 x3 for more information. New Ulm Public Library, New Ulm MN, hosts Dr. Elden Lawrence, who will introduce his latest book, "Stepping Off the Keel Boat: An Inside Look at the Dakota War of 1862," Saturday April 12, 2014, 10 a.m. Call 507-359-8334 for more information. Hamline-Midway History Corps, St. Paul MN, invites the public to join them for a Snelling Avenue Walk, Saturday April 12, 2014, 10 a.m. Meet at the corner of Snelling and Blair. Contact Steve Bailey with questions. Landmark Center, St. Paul MN, hosts the next Urban Expedition to Senegal, Sunday April 13, 2014. Free. Call 651-292-3063 for more information. Blue Earth County Historical Society, Mankato MN, welcomes the public to the opening reception for Sandy Howe's exhibit "Simplicity," April 17, 2014, 5-7 p.m. Call Shelley at 507-345-5566 for more information. Waseca County Historical Society presents Elizabeth Dorsey Hatle who will speak on her book, "The Ku Klux Klan in Minnesota," Thursday April 24, 2014. $12/WCHS members, $16/non-members; Call 507-835-7700 to reserve and for more information. Preservation Alliance of Minnesota hosts an Historic Pub Crawl through the Summit-University neighborhood, Thursday April 24, 2014, 6:30-9 p.m. Register online. Rice County Historical Society, Faribault MN, hosts Jim Stark, who will speak on "The Road to Disunion and The Civil War," Thursday April 24, 2014, 7 p.m. Reservations recommended. Call 507-332-2121 for more information. Ramsey County Library-New Brighton hosts New Brighton Area Historical Society, who will present a program on the Longest Night of 1965, one of the worst outbreaks of tornadoes in Minnesota history, Thursday April 24, 2014, 2 p.m. Call 651-724-6022 for more information. Ramsey County Library-White Bear Lake will host genealogist Tom Rice, who will speak about organizing genealogical data, Thursday April 24, 2014, 2 p.m. Call 651-724-6022 for more information. Steele County History Center announces a “Mortgage Burning Ceremony” Thursday April 24, 2014. Festivities begin at 5 p.m. Call 507-451-1420 for more information. Bloomington Parks and Recreation, invites the public to the Historic Pond House, Pond Dakota Mission Park, Bloomington MN, for a discussion by Thomas Shaw on 19th century clothing, Sunday April 27, 2014, 2 p.m. Call 952-848-0477 for more information. Friends of LeDuc of Historic Hastings, Hastings MN, and Dakota County Historical Society, South St. Paul MN, invite the public to join them at the LeDuc Historic Estate for Author's Sunday, April 27, 2014, 1 p.m. Featured author is Bruce Kohn, author of "Dakota Child, Governor's Daughter." Call 561-437-7055 for more information. Blue Earth County Historical Society, Mankato MN, invites the public to join them for a Victorian Afternoon Tea, May 4, 2014, 1-4 p.m. Tickets: $15/adults; $10/BECHS members; $5/children ages 5-17; free for children under 5. Space is limited; call 507-345-5566 for reservations. Bloomington Parks and Recreation, invites the public to the Historic Pond House, Pond Dakota Mission Park, Bloomington MN, for a presentation on Minnesota archaeology with Rod Johnson, Sunday May 4, 2014, 2-4 p.m. Drop-in program; hands-on activities! Call 952-484-0477 for more information. Judy Garland Museum, Grand Rapids MN, will host their Wizard of Oz Festival, June 10-14, 2014. On Friday June 13, 2014 come dressed as a Wizard of Oz character for the Guinness World Record Attempt to have the "Most dressed up Wizard of Oz characters." Start working on your costumes now! Call 612-371-1886 for more information. Nicollet County Historical Society, St. Peter MN, will celebrate Spring with their annual Cox House Plant Sale, to be held in mid-May. Contact Bev Wetherill, 507-934-4417, with questions. American Association for State and Local History offers StEPs UP Day, April 30, 2014, an exclusive online event for organizations and museums enrolled in the StEPs program. Network with other StEPs organizations! 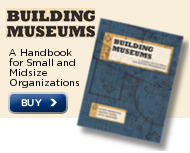 American Alliance of Museums and several regional museum associations are conducting a national salary survey of museums and their employees. Please take the survey by April 18, 2014. Contact Laura Tietjen, 347-766-3399, if you have questions about the survey. Primary Research Group is surveying libraries and museums about their efforts to digitize their collections. Survey participants receive a freecopy of the final report generated from the survey data. Take the survey online. Spring is a good time to assess your organization's Emergency Preparedness plan--especially after Minnesota's long, snowy winter. Don't have one? A good start would be with the Council of State Archivists' free Pocket Response Plan (PReP) template. Minnesota Historical Society also has resources available for disaster response and recovery. Scholarships are available to the 2014 AASLH Conference, St. Paul MN. Deadline: April 11 or June 13, 2014. Keystones of the Stone Arch Bridge, by Carolyn Ruff. New children's book from Minnesota Historical Society Press. Register now for one of the online Orientation Webinars.